Pincher Creek Voice: Pincher Creek Minor Baseball: Bring on the Summer Games! 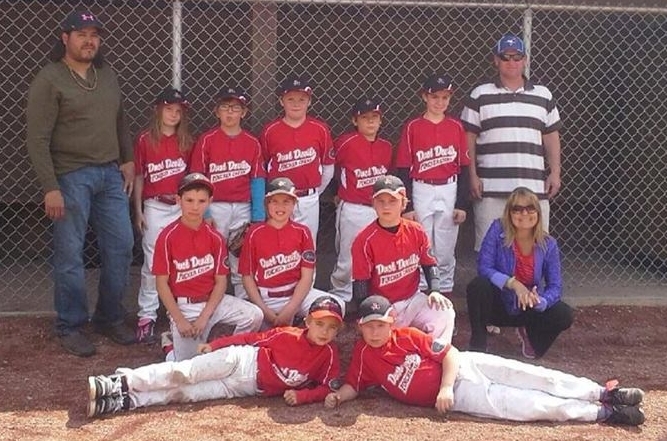 Pincher Creek Minor Baseball: Bring on the Summer Games! Majors baseball coach Hays Bruder was out on the Lions Park field getting U12 kids ready for the upcoming Southern Alberta Summer Games (SASG). Pincher Creek's SASG Majors team will have many of the same athletes as the Major Dust Devils, with a few differences. The Major Dust Devils finished their season with a Silver at the Elkford tournament on June 22 (second out of six teams). It was a hit and miss season for local baseball in general, due to weather issues causing cancelled practices and games. "The weather gave us a tough time all year," said Bruder. He was happy with how the team performed. "It was a great season, they tried good all year," he said. "In the tournament it was amazing, they really pulled it off. The other teams were really good. They beat Claresholm. The team that we lost gold to, the Pass, is really good. Even to get silver is really good." "In the end they did excellent. I think we are ready for summer games. I'm glad we're going." 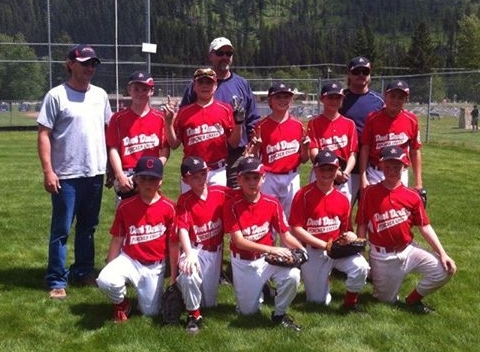 Pincher Creek's Minors Dust Devils also won Silver at the season-end tournament. Thumbs up team, and see you at the Summer Games! In related news, congratulations to Pincher Creek's Easton Fitzpatrick, who made the 2014 Chinook West Major AA All-Star team. He was warming up with the Juniors this week as well, in preparation for the Summer Games. For complete SASG sporting event schedules click here.